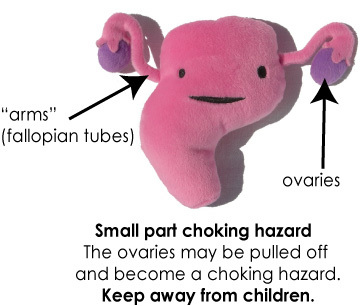 The other, non-deadly plush guts are pretty cute, though. I want a brain. And a heart. And da noive. That which giveth life, taketh it away. OH THE IRONY. What I like is this now sets up the joke, "What do Anakin Skywalker and a plush uterus have in common?" Are these things for real? I am going to check Snopes! Attack of the Killer Uterus!!! Joke? I don't get it. "I brought you into this world, and now I'm gonna take you out of it"
How about a mandibula plush for the Encyclopedia Britanica guy?! I wonder whatever happened to him!? What happened to him? He had a report due on space, then he got the Encyclopedia Britannica.